Are you a worker, a student or a digital nomad and your travels bring you to the capital of the Czech Republic? 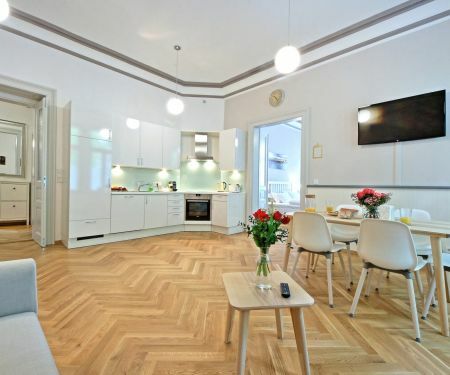 Choose a suitable rental in Prague 2 on Flatio according to photos, virtual tours, and detailed descriptions. Do it from anywhere in the World! Getting rentals for a few weeks or months in Prague 2 is easy thanks to the Flatio team. You just need to look at the map, choose an apartment, and request reservation. 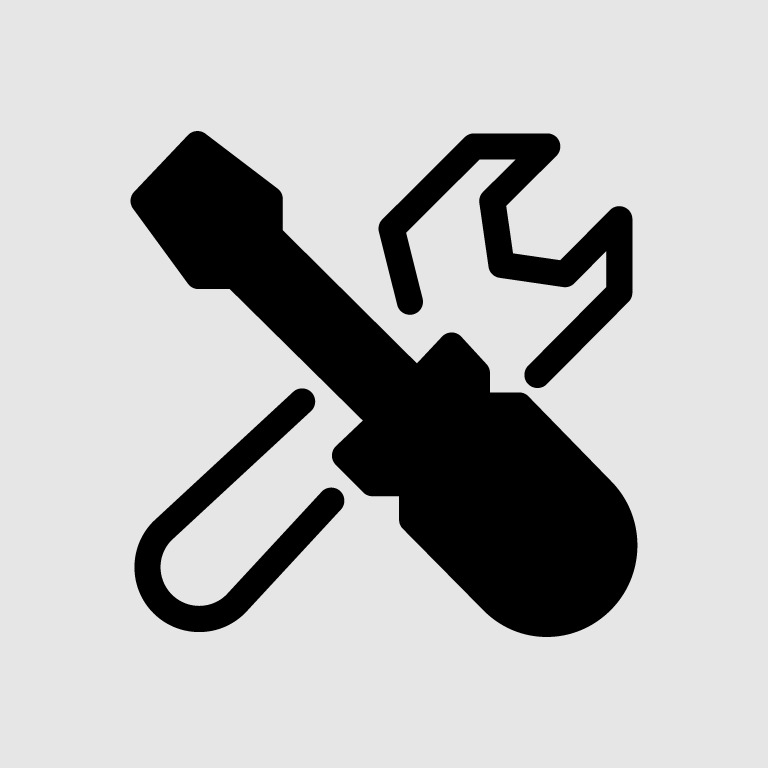 Have you seen all the offers on Flatio, but none of them suited your needs? Check out newest rentals daily, and maybe today you’ll find your dream accommodation for a few weeks or even months. Choose the ideal home with the help of photos and virtual tours. Request reservation of the chosen apartment. In no later than 24 hours you’ll know, whether you can count on having the accommodation. When you are in the capital of the Czech Republic for a few weeks or even months you’d like to stay close to the centre, but not right in it? 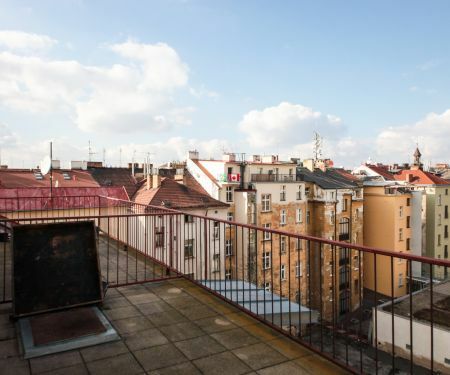 Get an apartment in Prague 2 and all the necessities will be right outside of your window. You might even see Vyšehrad from there. The heart of Europe beats strongly day and night, and you can be part of it! Whether you’re a student, a worker or a digital nomad you’ll always find something fulfilling in Prague 2. Within this area of 4.19 km², according to data from 2017, there are 49 624 permanent residents. Do you want to be one of them? Pick a mid-term or a short-term rental on Flatio. Within a day after reservation, you’ll know if the apartment is yours for the chosen period. We don’t do delays; everything is fast and simple to arrange. After a bad experience with last year’s holiday accommodation, do you now only trust user ratings when choosing a place? We know how important real-life experiences are. 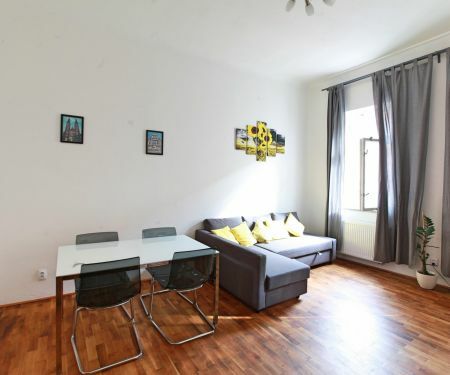 Not only can you make a choice based on virtual tours and photos, but you can also order the best rentals in Prague 2 according to added ratings by previous tenants. The best ratings of rentals on Flatio will guarantee that descriptions match the reality. After you arrive, no slow WiFi or uncomfortable bed will be waiting for you. You’ll be ready for everything ahead of time. 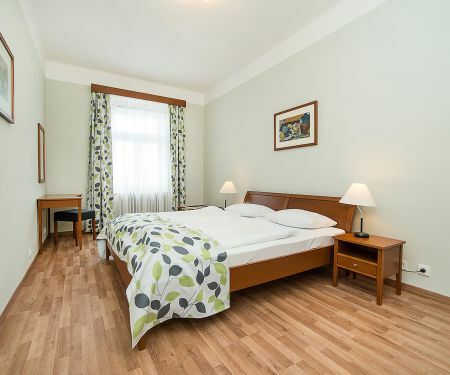 Are you traveling to the capital of Czechia soon and you’re deciding where to stay? There are many expensive hotels and boarding houses on offer, but you’d rather live in a place which is more like your home? 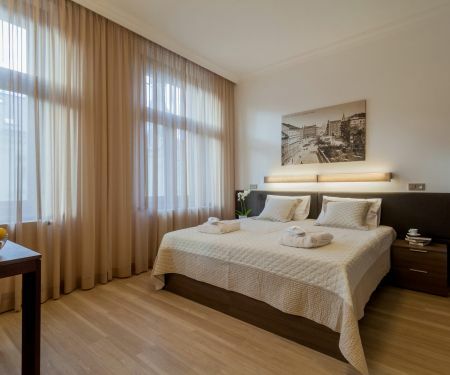 Pick an ideal rental in Prague 2 on Flatio without a deposit, estate agency or steep commissions. Just choose, based on virtual tours which you go through at your own pace. Make a reservation and wait for the confirmation from the landlord. It’ll be all sorted out in max. 24 hours! With us, everything is fast and you can arrange it from anywhere in the world where you can connect to the internet. To get an apartment in Prague 2 for 2 weeks, 2 months or even half a year without an estate agency isn’t just an impossible dream. With Flatio you’ll make it without an agent or steep commissions. You’ll save money and can spend it on fun and culture in the capital of the Czech Republic. If you’ve ever rented an apartment, you’ll know that with a lease agreement you need to pay a deposit which can be as much as three months’ worth of rent. Not with Flatio. With us, you rent an apartment for 14 days, a month or half a year without paying a deposit.